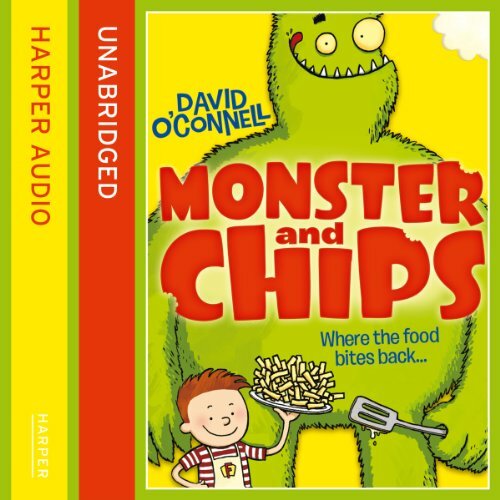 Meet the amazing monster customers and sample the foul-food served up daily at Fuzzby's diner - the brilliant setting for this innovative series from debut author David O'Connell. The diner is hard to find, you have to look carefully, in fact some people say only a special kind of kid can find this special kind of diner. But maybe that kid could be you? When Joe the ‘hooman' gets a job at Fuzzby's diner, he learns to bake zombie-cupcakes, exploding milkshakes and not to stare at the customers - even the ones who are see-through. He also foils a terrible plan to sabotage the annual Grand Cooking Competition. With a Special's Board that'll make your tummy churn, take a seat at Fuzzby's and join the fun.